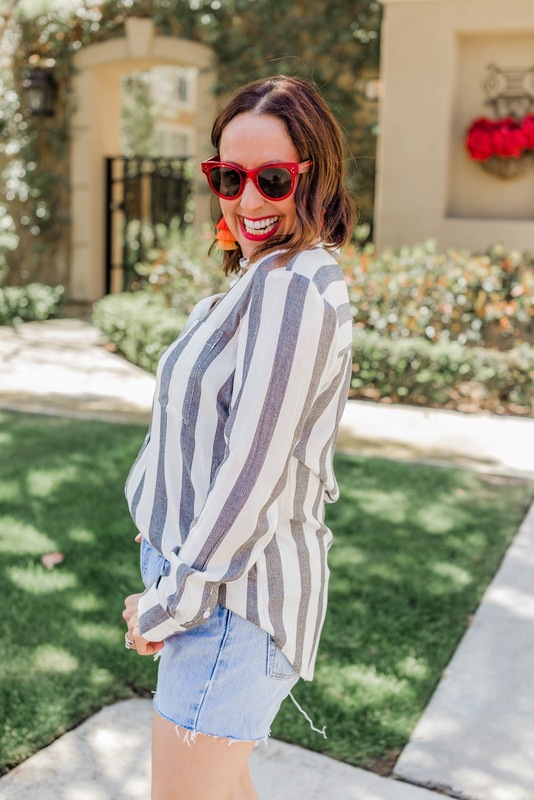 I love stripes, and when I saw this cute striped button down I knew it was the perfect summer top. 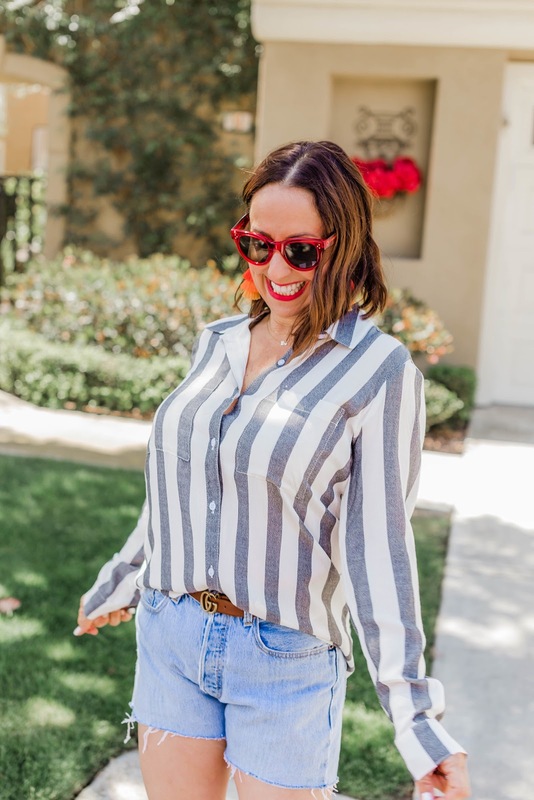 I think every fashion girl needs to invest in some stripes!! Especially during these warmer months. Nightmare Repair created these for me. 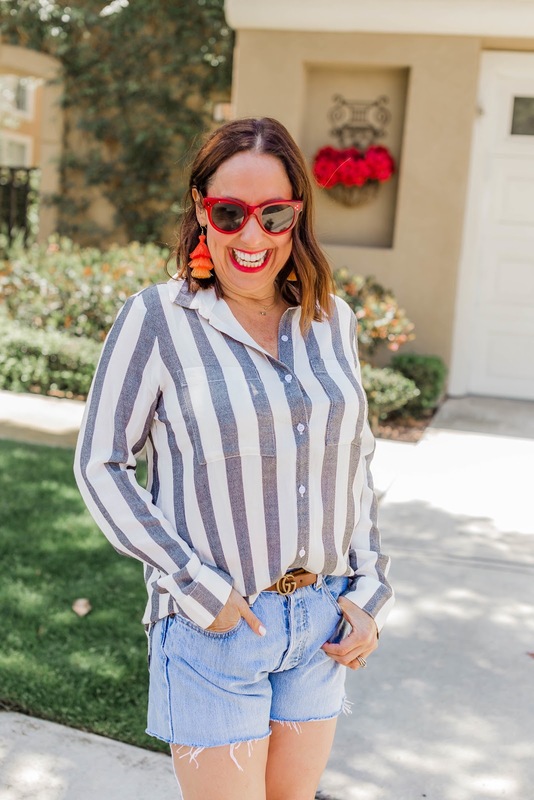 I found a pair of vintage Levi jeans at Styler Society (they carry the best Levis ever) and Mary cut them at the perfect spot to create a great pair of shorts. Mary is so incredibly talented and I can't wait to share with you a collaboration we are doing coming soon. All I had to do was add this cute camel Gucci belt (every girl needs a camel belt), my go to wedges, and these adorable red sunglasses. I then completed the look with these fabulous Shop G2G earrings. I love love them, and I have been wearing them nonstop!!!! Girls, you soooooo need these. So try adding some stripes into your wardrobe to celebrate this spring and summer season. Thanks to Gabi Wells for photos. You can shop this look by clicking on the links above. Happy Reading!!!! We are stripe twins today!! 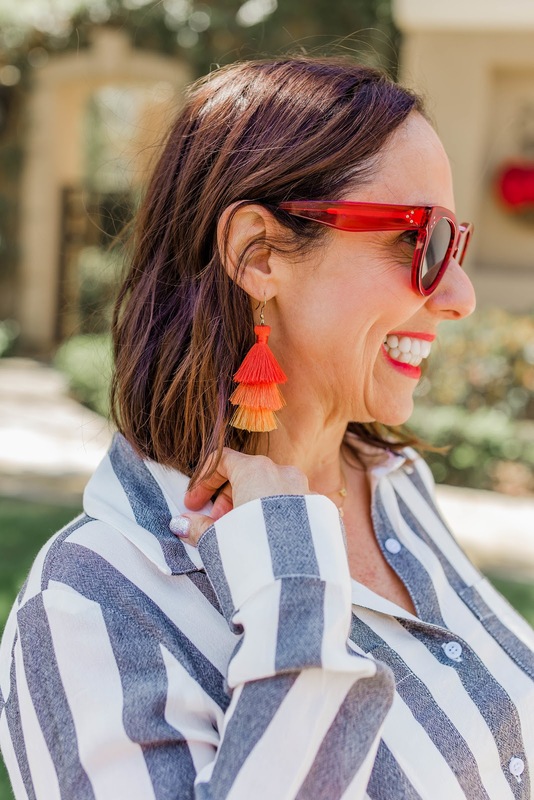 You are so cute in this look and I need those earrings immediately! Gimme!! Love you cutie!